Nobody loves a gold glass bauble quite like an interior designer. 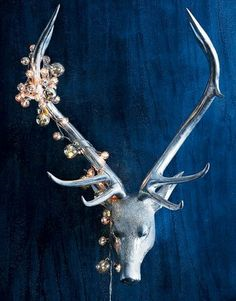 Or glitter, or tinsel, or little felt laser-cut reindeers (our new fav!)…. Christmas is upon us (Stop the bus! 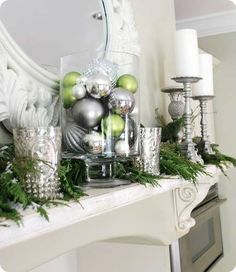 )and with that the age-old custom of putting up a Christmas tree and decorating your home with all things shiny, bright and twinkling. 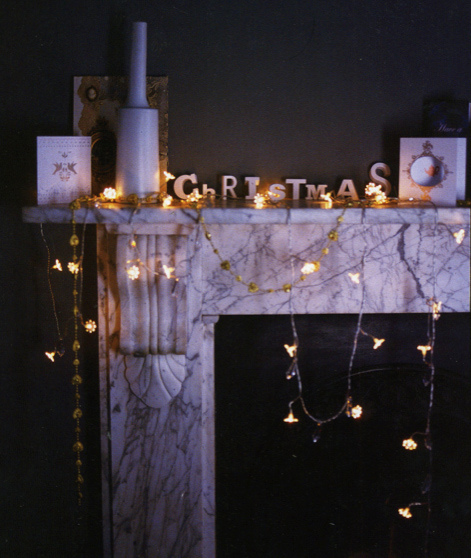 This week we wanted to share a few ideas on how to inject a bit more flair, glamour and creativity into your festive lair…. Ditch the conventional Christmas tree – As South Africans we are so spoilt for options when it comes to Christmas trees, just look to nature. 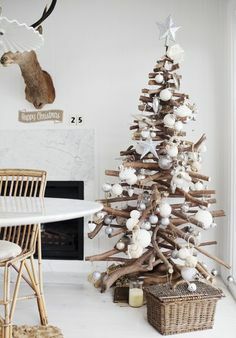 Think driftwood and seashells for a beach-inspired Christmas…… Agave bloom stalks sprayed gold for a natural-meets-glam Christmas (this is a personal family fav!) 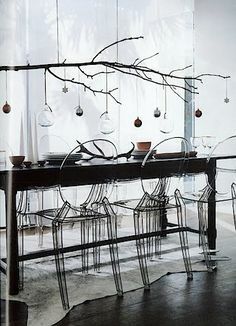 What about supporting local craftsmen and going for a wire Baobab tree? 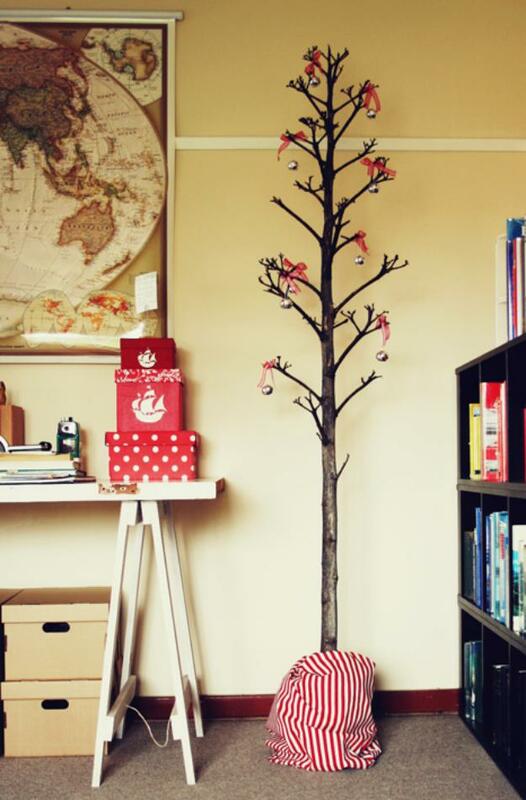 If nature as inspiration is not your thing, how about this contemporary take on a Christmas tree….a Washi tape silhouette? 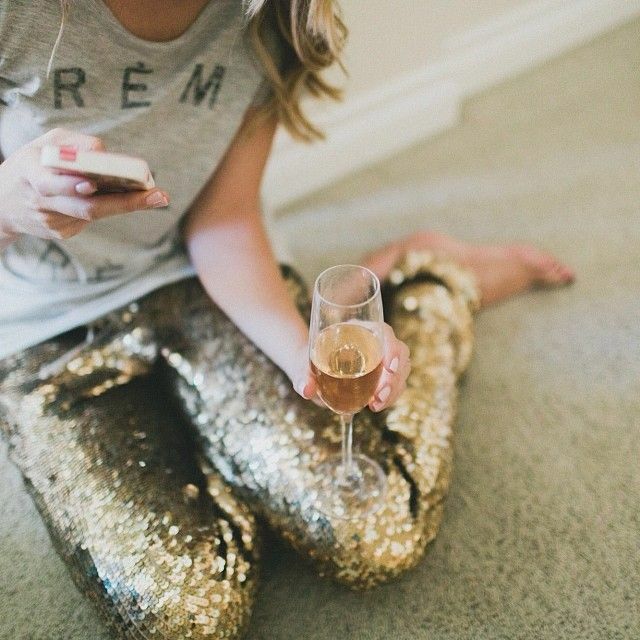 Add some sparkle – it’s the one time of the year when you can un-shamelessly go wild with glitter! 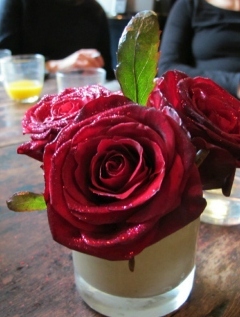 Up the ante on your table displays by applying glitter to your flowers. Simply spray the flower or leaves with hairspray, sprinkle with glitter (say a wish!) and voila! 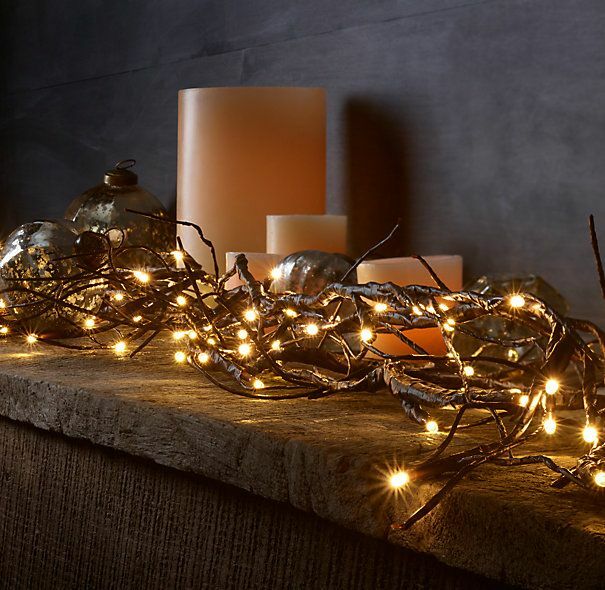 These looks amazing twinkling in candlelight and will be sure to make your guests smile! 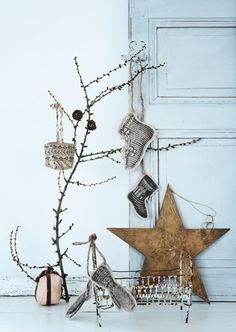 Display baubles in interesting ways- Christmas baubles are so sparkly and twinkly so it’s a shame to just hang them on your tree! 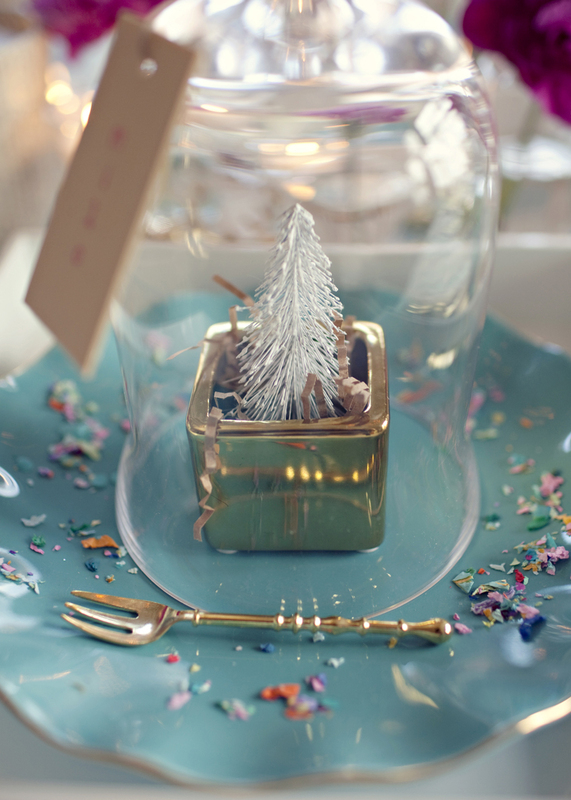 A fun way of incorporating them into your Christmas decor scheme is to put them in glass cars. Consol jars, Vases, bell jars and cloches (normally reserved for storing Christmas treats and nibbles) are the perfect vessels….. 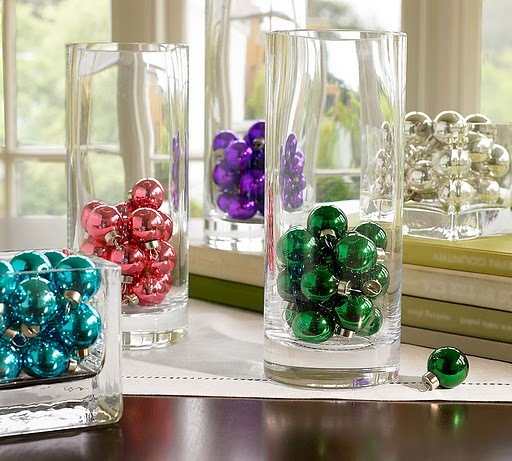 Fill the glass jars with baubles and place them all over the house on different surfaces. It’s something so simple, but oh-so effective! Play with texture – Yip it’s time to throw out some design lingo here! 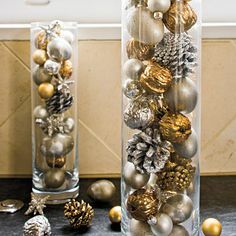 Whilst we are all about sparkly and twinkly at Christmas, what will really set that off is mixing the shiny and glittery with other unexpected textures. 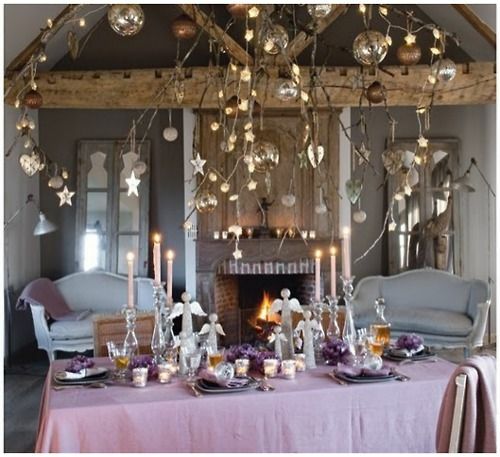 Think paper mache’, raw wood, felt, concrete…..
Deck the halls - Think beyond your floor and table surfaces! 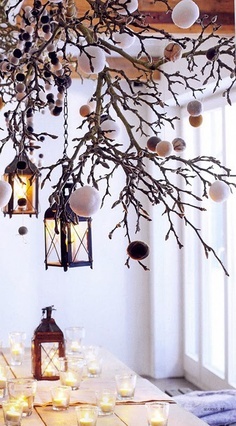 To make a real statement we suggest suspending decorations from the ceiling. 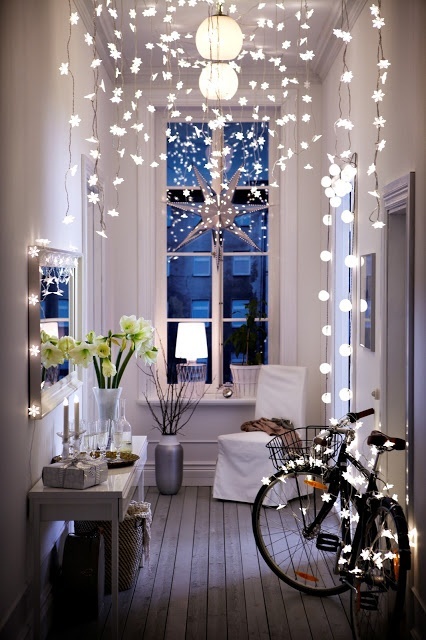 By doing this, it really defines your entire space and makes it oh-so dramatic and wow! 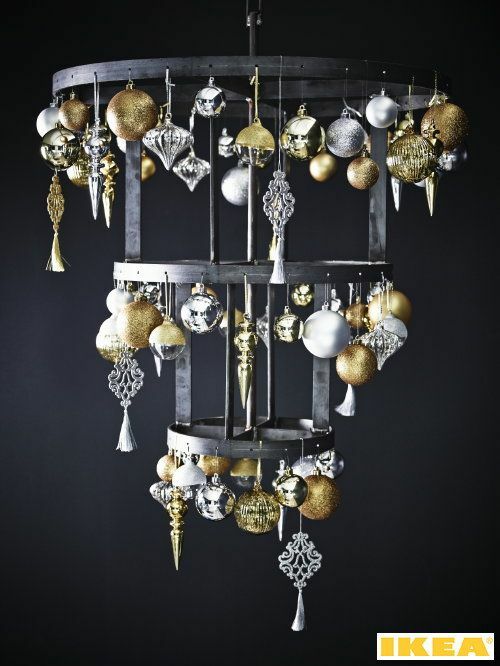 Be bold with colour - Gone are the days when Christmas strictly meant green, red, gold and silver! 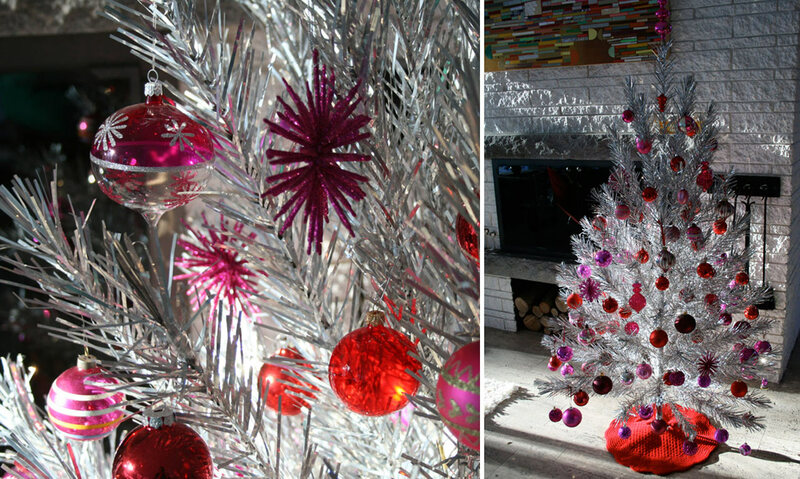 There are no rules anymore when it comes to colour, and Christmas is no exception! Think neons, orange and pink, chartreuse and petrol blue! Say it right! 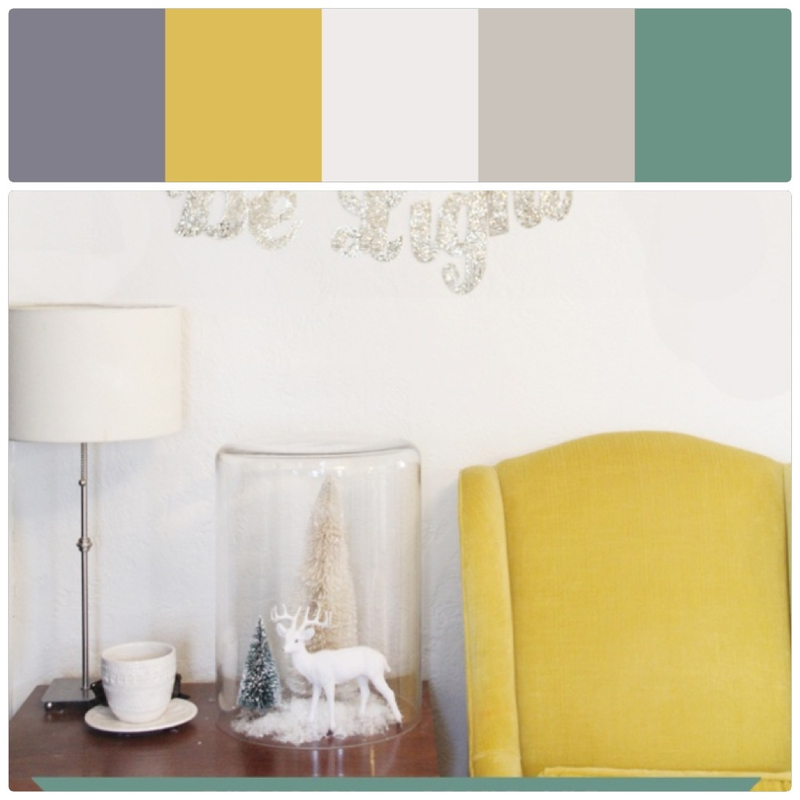 - If you follow our blog, you would have read our post about using text in interiors. 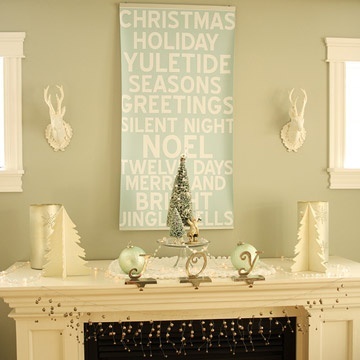 Text is a graphic, fun and playful tool to use in a modern decor scheme and Christmas is no exception. 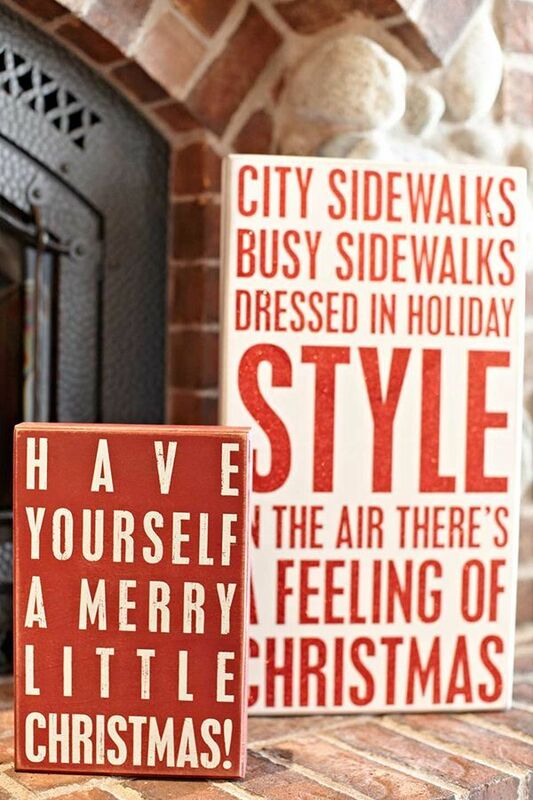 Surround your space with words highlighting the festive season. 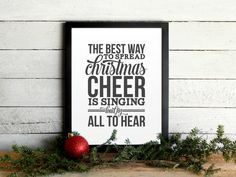 Merry, festive, love, family, bright, shiny, holidays, relaxing, friends, fun…. just seeing the words capture the feeling! 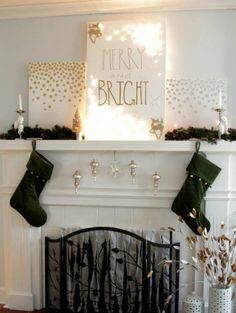 With such a stylish, glamorous Christmas scene created, the only thing left is to make sure to have the perfect outfit to complement it……………..
nothing says Christmas more than a pair of sequined sparkly pants! Have fun creating your festive wonderland!